As a traveler, each destination enriched you with new pieces of knowledge, novel experiences, different encounters, and insights from another culture. While traveling, you can also be more than a simple observer and have a real positive impact on nature and society by choosing sustainable tourism. Sustainable tourism is the core of our mission at TasteIran as we consider it as the key factor of the future of tourism in Iran. So, what is it about and how can we make a difference altogether? Since several decades now, Iran has rapidly developed its tourism industry to offer the wonders of its blue mosques and natural paradises to visitors from all over the world. A boom in the tourism industry is not without consequences and can have a significant impact on natural resources, pollution, as well as society. If not managed correctly, this impact can have negative aftermaths. Sustainable tourism intends to be the antonym of the modern mass tourism because its main goals are to avoid the depletion of environmental resources, contribute to poverty alleviation, and ensure the conservation of natural and cultural heritage. 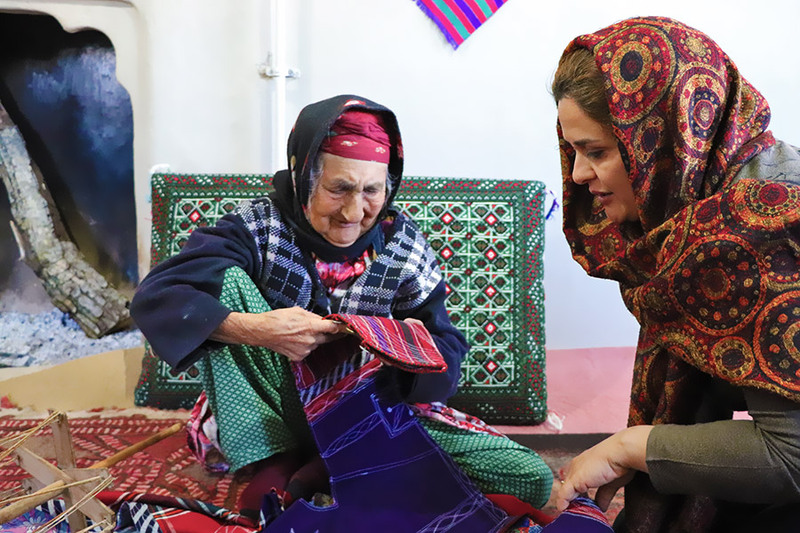 This is why we have made our mission to find the best sustainable suppliers throughout Iran, who can offer you an experience that both respects nature and brings economic growth to local communities. Sustainable tourism is, first, a matter of mutual benefits between locals and visitors. Mass tourism, by focusing on the most popular destinations can, for instance, bring a large number of visitors to a small island, creating an imbalance with the local population. These places hardly benefit economically from the influx of visitors, because most of the money goes out of the country, into the international tour operator's office. Sustainable tourism offers the opposite pattern. We, at TasteIran, promote local business and initiatives throughout Iran. By choosing an experience with a sustainable operator, you are directly supporting the local economy, and having a positive impact on the growth of communities. 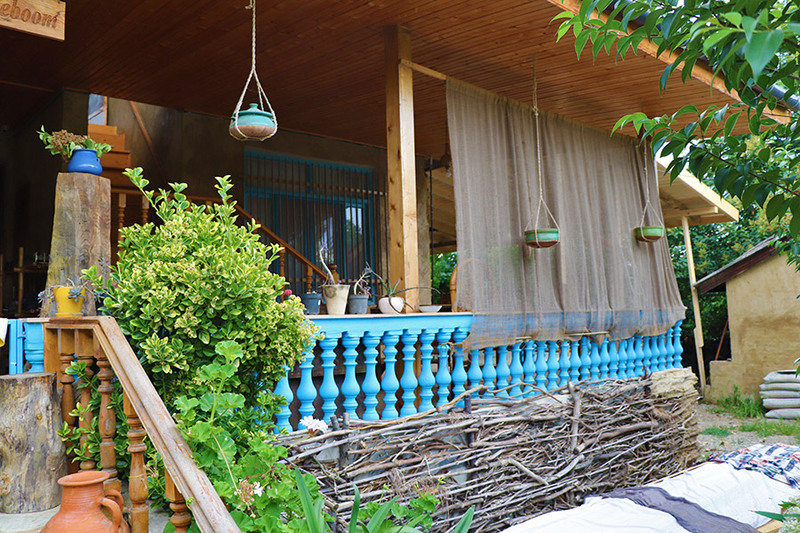 This is the case when you choose to stay in a traditional guesthouse, in the famous cities of Shiraz or Yazd, as well as a small desert Ecolodge. By your stay, you are directly supporting the empowerment of local populations, advocating for ethical work conditions, and helping their economic development in a long-term and viable perspective. You are also participating in another fundamental value of sustainable tourism: genuine human exchanges. Staying among local communities, families, and tribes is an experience which benefits both parts. Iran is a large country, which has many unknown wonders to offers aside from the cities of its classical path. 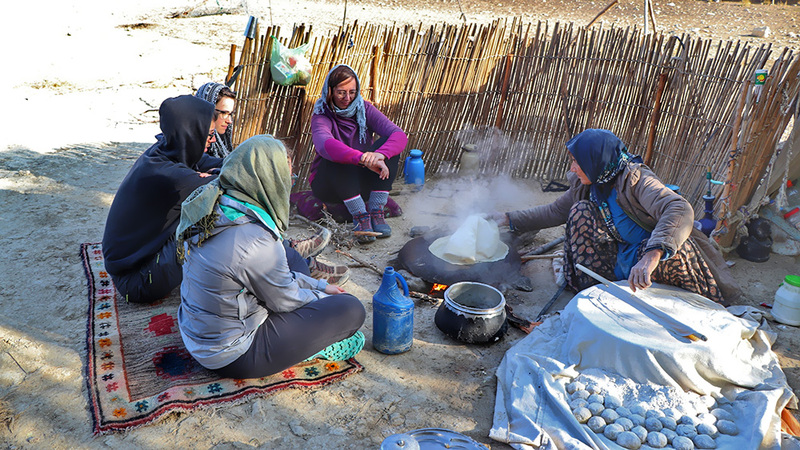 Amongst its 31 provinces, Iran possesses vast lands overflowed with small hidden villages, nomad tribes, and various local ethnicities with their specific and centuries-old traditions. This is a cultural and natural wealth that sustainable tourism can support. On one side, as a tourist, you have a unique access to the intimacy of locals, by sharing and witnessing a daily life rooted in ancestral traditions. Being so close to the people also allows you to learn from them, and understand their customs, in order to share tolerance and do not influence their culture with your own. Whether it's with demeanor, language, food, or clothes, this knowledge prevents you from altering their way of life in a harmful manner or offending their values. On the contrary, you are helping them to realize the cultural treasure they have. Through celebrations, festivals, and handicrafts, you not only discover unique cultures, but you also encourage people to preserve and renew their own cultural legacy, which could otherwise be lost with modern life. By choosing to be a sustainable traveler, you are also taking part in the essential preservation of nature and the environment. This is the main purpose of Ecotourism, which supports a tourism in rural and wilderness areas, in order to understand, learn, and in the end benefit to the conservation of natural resources. Iran has a rich natural landscape, which goes from lush jungles to large deserts, and possesses dozens of National parks, protected area, and wildlife refuges. It is home to many endemic species of plants and animals. Sustainable tourism and Ecotourism aim to protect this invaluable good, by supporting activities which respect animal’s welfare and nature: ethical animal tourism such as birdwatching; hiking, trekking or canoeing accomplished according to high ecological standards. At TasteIran, we relentlessly strive to find rare sustainable gems across the country. The accommodations we have selected are fitted to their surroundings, on a human scale, and concerned about the issues of pollution, waste, and overuse of water resources. Thus, their presence respect and protect the local environment, which communities depend on. Furthermore, we are encouraging local initiatives which creatively make advantage of the wonders of their surroundings, such as desert farms growing plants in the desert, using only a natural and ancestral watering system. All in all, sustainable tourism and Ecotourism are simply a way of traveling by exploring a destination and living experiences while respecting the country, its environment, its culture, and the people. It's a wonderful experience which benefits and enriched both parts while preserving the world live in and the cultures that surround us.